What should the NBA do about Donald Sterling? Even with the NBA Playoffs going on right as we speak, the story of the day in the world of basketball is in regards to Donald Sterling, owner of the Los Angeles Clippers. 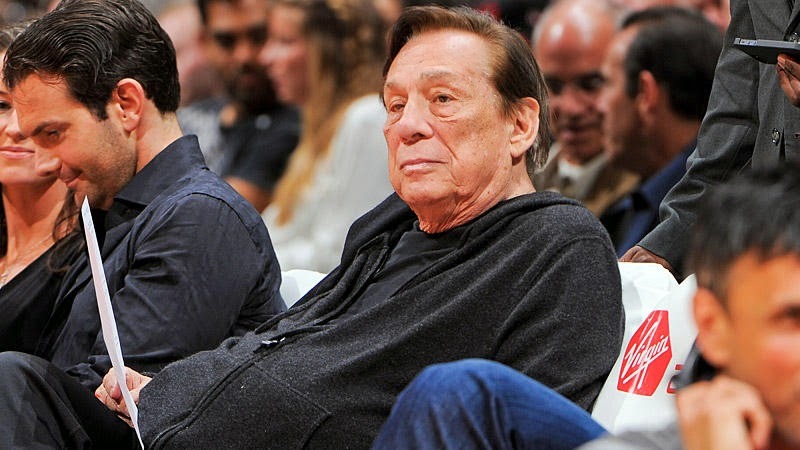 TMZ Sports reported last night that Sterling had told his girlfriend, of mixed-race descent ironically, to not associate with black people and to not bring them to Clippers games, including Lakers legend Magic Johnson, and they provided audio to prove it. Let's take a listen. It is not shocking that Sterling is a racist, that was already known. What was shocking was that not only was somebody making those comments in 2014, it was somebody that is an owner of a team in a predominantly African-American league, with a predominantly African-American roster as well as an African-American head coach. His views are truly repugnant and offense and should not be coming from anybody, let alone an owner of an NBA club. So now the decision has to come from relatively green NBA commissioner Adam Silver. As Yahoo's Adrian Wojnarowski notes, this is something the league has to take care of, not the players or coach Doc Rivers. Refusing to play their own games would seemingly only hurt themselves, this is the NBA playoffs after all. And the players and the coaches do not get to choose their owners so it is not fair on them to expect them to take a stand. Who does get to choose the owners? That would be the NBA and they have to take care of this issue. Sterling's history goes far beyond the mediocre play of the Clippers over the years. He has been sued numerous times on racial charges and sexual harassment charges, had to settle a racial discrimination suit in 2005 and had to pay the Justice Department $2.73 million to settle housing discrimination charges in 2009. So what can the NBA do? It is not entirely certain what the league can do in disciplining owners, but Major League Baseball famously banned former Reds owner Marge Schott from day-to-day operations of her team twice, in 1993 and from 1996-1998. You can expect some sort of a suspension as well as a fine. The league has to keep Sterling away from games, one would think, and ideally they would force Sterling to sell the club. However, as Bill Simmons notes, that is easier said than done as there is not any precedent for it. Silver will be holding a press conference tonight but there is no question that he and the league have to come down and come down hard on Sterling. There really is no other choice. UPDATE: The league has decided it will not hand out any punishment while an investigation on the audio will be conducted. UPDATE 2: Sterling has been banned for life by the NBA and fined $2.5 million.